Quake® Champions Official Website | New Arena, Rename Tokens and more are now live in Quake Champions! New Arena, Rename Tokens and more are now live in Quake Champions! A new update is in deployment for Quake Champions! In addition to several tweaks and upgrades to balance the game and optimize performance, this update will also allow players to visit a new map and change their profile names! For those looking to switch things up and re-brand themselves, we’re happy to announce Player Rename Tokens! Purchasable in the Quake Store for 1500 Platinum, each Player Rename Token is good for one name change. We’re also offering a 33% discount on Player Rename Tokens during its first month of availability, in case you can’t wait to part with that embarrassing old tag from high school. 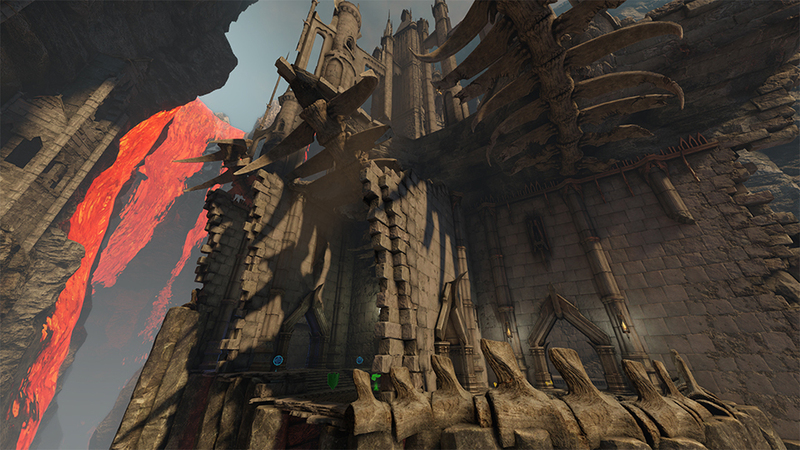 Up next in our tour of the Dreamlands, The Molten Falls is a new Goroth Map hailing from the Dimension of the Doomed. Don’t let the name scare you, though – the Falls are rich with eye-catching vertical scenery, wide lanes and ample lines of sight to test your runnin’ & gunnin’ skills. The Molten Falls is currently available in all Ranked and Unranked gameplay modes except Sacrifice. Enjoy! Of course, the July update for Quake Champions is not just Player Rename Tokens and The Molten Falls. The patch also includes a series of Champions balances, some UI polish, bug fixes and weapon tweaks. For details on the improvements added to the latest version of Quake Champions, check out the patch notes today, and we’ll see you in the Arena!